Bill Tippmann led the design, permitting and budgeting for a 9-acre urban mixed use project to be constructed in Montgomery, Ohio. 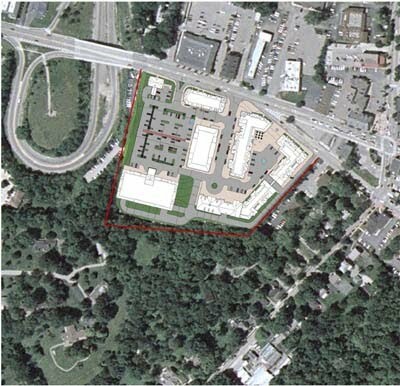 Beginning in 2005 with Bear Creek Capital’s purchase of the former Schottco Chevrolet property, he collaborated with City planning staff, purchasers of the residential rights and retail/ commercial users to create a design ultimately satisfactory of all key stakeholders. He sourced and negotiated two separate purchase agreements with residential developers to construct wood frame units above a parking structure and commercial development. The physical and economic structure was similar to the Eat Street Flats and Market project he oversaw in Minneapolis. The project includes two below grade parking facilities, including the commercial garage to be constructed with a public funding component. The residential garage will serve approximately 95 market rate condominium units. 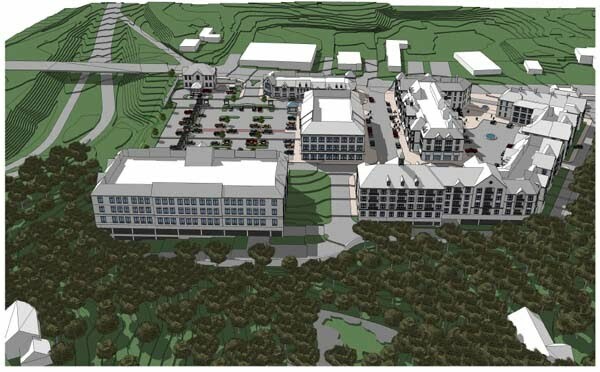 The project is intended as a phased development and is designed to enable the incorporation of the adjacent 5-acre property immediately north of the Schottco site. A General Development Plan was approved by the Montgomery Planning Commission in early 2008, prior to the project being placed on hold. Once economic conditions improve, the then owners of the two parcels could easily benefit from the information developed by Mr. Tippmann in order to bring these important properties to beneficial use.